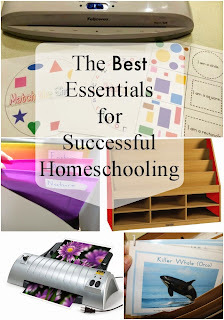 I hope these tips help you in your homeschooling journey and you get the best of what you need without wasting money. These products and organization tips are tried and true. I have spent years working on the best ways to stay organized and have a peaceful happy home. Now I'm hoping to pass on some of that to you. 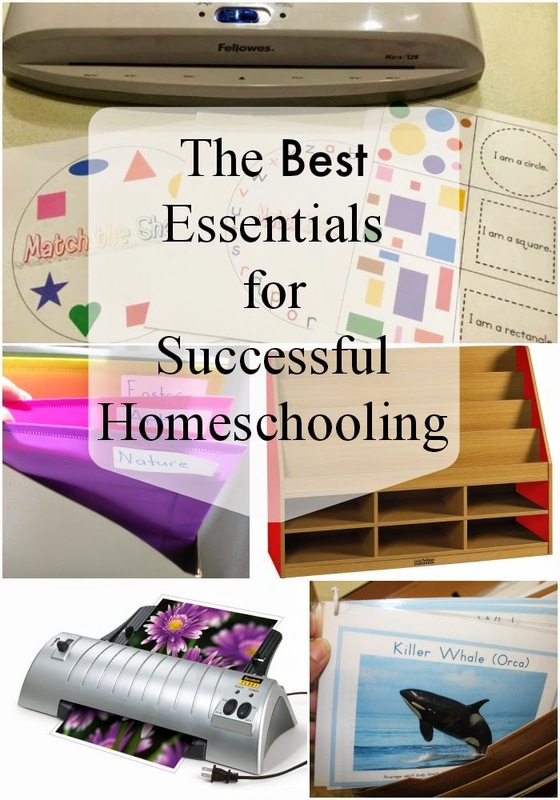 So lets get started in making your homeschooling successful with these top essentials. This is my counter buddy. I can't stress enough how much I love it.This post may contain affiliate links. The Scotch Laminator is another GREAT one to choose. You will definitely be happy to have either of these on your counter. Think of all of those Montessori cards and printables you can laminate. Yay! 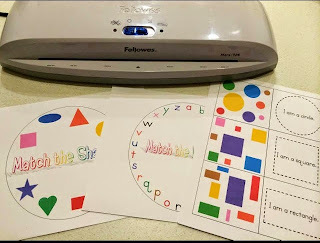 Here are just a couple of examples of activities/lessons that I've made using our laminator. Laminating Pouches that are totally worth the great price. Next up, How to organize the cards and printables. Snap or Velcro Poly Pocket Folders are a must for me. Here you can see how one of mine looks. 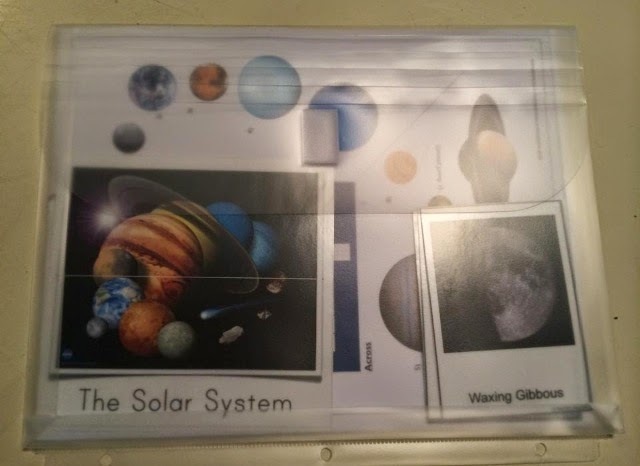 I like to group mine by themes, where as each folder has a theme, This is our Solar System folder. I keep all of our Montessori cards and worksheets in one folder. That way it's ready to go. You can store these in a basket, a magazine box, a file box, or if you can hole punch the bottoms and store these in a binder. You do NOT want to be cutting all of your cards by hand. Believe me, paper trimmers are inexpensive and totally worth it. In my opinion Fiskars is the best. This is what I use. Another Storage option I use for organizing is file folder boxes. I usually get mine at Walmart because they are the cheapest, however they are sold out a lot of the time. So I am including a link for some that are very similar. Are you wondering what the inside of my file folder box looks like? I have 4 boxes at this point and they are labeled for different things. That might seem overwhelming but I have several children at different levels. I have an early childhood box, a box that is organized with Monthly themes, A box for my older Elementary children, and a new box I am just starting for this year. Don't let this worry you, I have been homeschooling for several years with multiple children. So I'm just saying you may need more than one box eventually. Rings, you can never have enough. Forget buying them in those little packs of five from Walmart, you can stock up with an inexpensive box from Amazon, they are great quality and they last. I prefer the 1 inch. Here are a few examples of things I've used them for. You can easily make your Montessori cards into a little book for the very young children. In fact I printed out two sets of these bird cards. One set I cut up for the older children and the other as you can see here, I left the cards together so they could have something to look at and hold. The other two books I put together for me. They are easy to hang on a hook or keep close by if I need it. Loving this Printer, I am a HUGE fan of Brother products. We have used them for years and they last. I highly recommend color too, everything comes out so much prettier. Brother Wireless Color Printer. Unfortunately I can't recommend a computer because we seem to always have computer issues. I haven't found one that I love yet :( Hopefully you have one that you love already. Last but definitely not least, what does every homeschooling home have a lot of? BOOKS! I suggest bookcases that you love that work for you and your children. 6 Shelf Child Friendly Book Case . I hope you have a wonderfully successful homeschooling journey. I would love for you to visit me on Facebook, and pop over to Natural Beach Living where I write regularly on our Homeschooling life, children's activities, and much more. 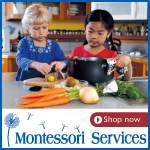 Want more Montessori homeschool? Read other h/s blog posts here. 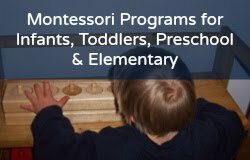 Check out Lisa Nolan's affordable online Montessori homeschool programs here and her recommendations for Montessori and homeschool books here!